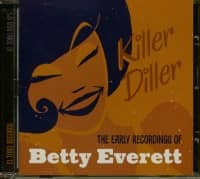 Betty Everett; she of the impeccable Northern Soul credentials. The sixties Soul singer who scored a top 10 hit with the twee, but elegantly performed, Shoop Shoop Song. She experienced renewed recognition in the 1990s and was covered by Cher, Linda Ronstadt and Elvis Costello, amongst others. 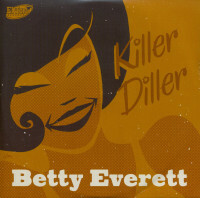 Betty was the quintessential Soul songstress but not many people are aware of her earlier sides. This 6 tracker offers a chance to trace the roots of her musical development in the six years before she signed to Vee-Jay and spans the bridge from Rhythm & Blues to Soul with this exceptional singer. Her alluring vocal delivery a captivating blend of gospel and blues influences, Betty Everett developed into one of the Windy City's top soul chanteuses during the 1960s, though her biggest hit of all was the work of a New York songscribe. Born November 23, 1939 in Greenwood, Mississippi, Betty began playing piano at Jones Chapel Baptist Church when she was 14. She followed her sister to the Windy City at 17 and settled on the West Side, where Mel's Hideaway Lounge was one of the hopping blues hotspots. Guitarist Magic Sam invited her up to sing one night, which won her a gig at the club. That led to her first recording contract with Eli Toscano's Cobra label. Everett's 1957 Cobra debut, My Life Depends On You, was followed by Ain't Gonna Cry and then I'll Weep No More, Cobra A&R man Willie Dixon intimately involved in all of them. Then there were a pair of 45s for C.J. and another for Renee (leased to One-derful!) before producer Leo Austell brought Betty to Vee-Jay Records, the principal local rival to Chess. Producer Calvin Carter devised a breezy, pop-accessible sound for his lovely new recruit, and he found her You're No Good, already out by Merry Clayton on Capitol (as It's In His Kiss), Ramona King on Warner Bros., and Dee Dee Warwick on Jubilee but a solid hit for Betty instead in 1963 (the Dells not only handled backing vocals for Everett, but the foot stomps to boot). Apparently Everett was none too keen on recording The Shoop Shoop Song (It's In His Kiss), written by New Yorker Rudy Clark, whose other triumphs include James Ray's If You Gotta Make A Fool Of Somebody and The Olympics' Good Lovin'. 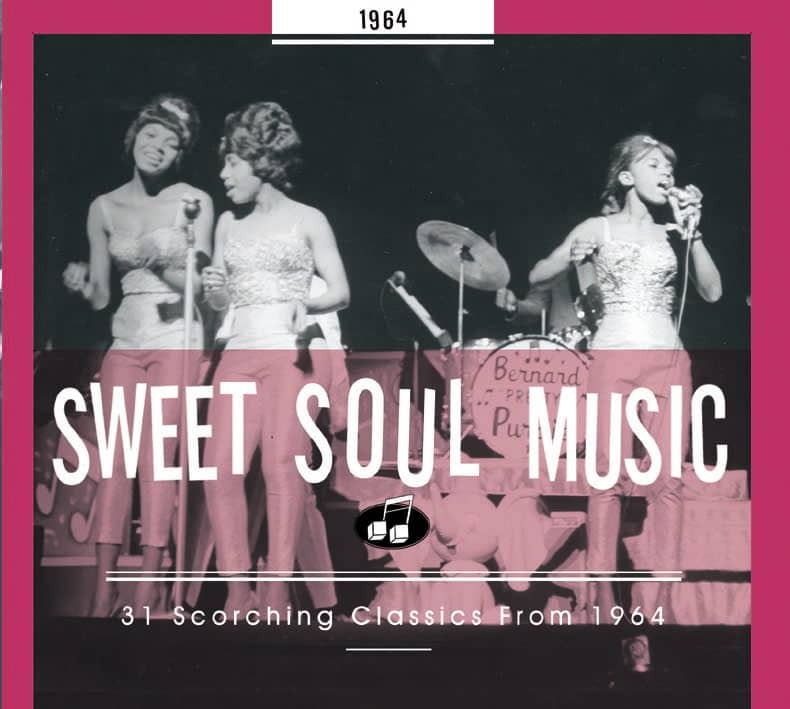 But Carter knew best, recruiting The Opals, then recording for Carl Davis over at OKeh under their own name, to provide the proper bubbly girl group ambiance. 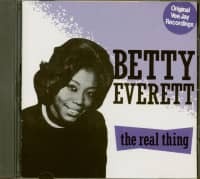 Shoop Shoop was by far Betty's biggest solo hit, maxing out at #6 pop, though Let It Be Me, her stirring duet later in the year with labelmate Jerry Butler, ventured one slot higher. 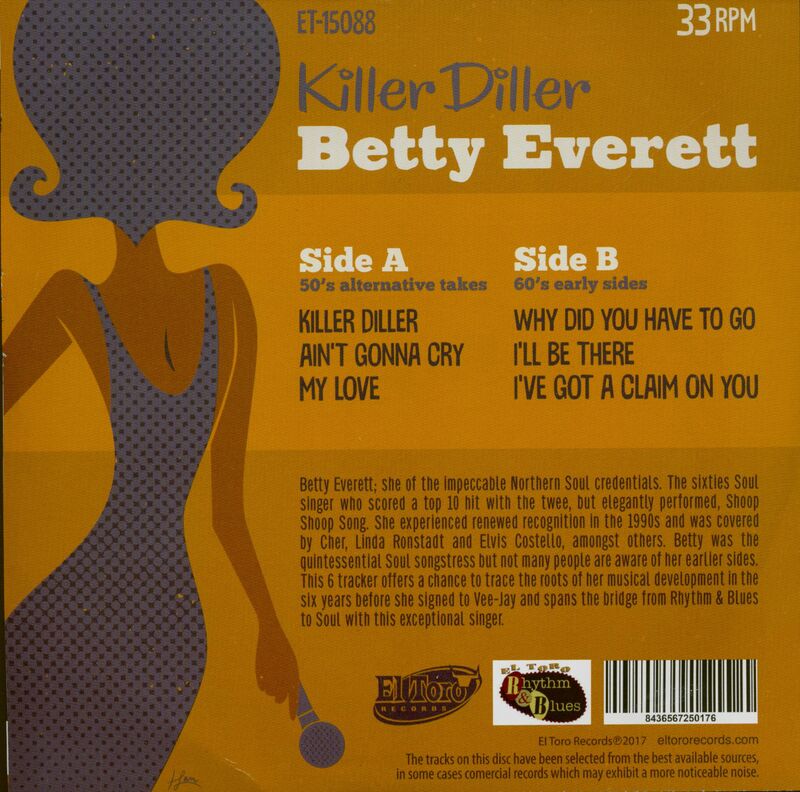 Long after Vee-Jay's demise, Betty was still posting R&B hits, notably There'll Come A Time for Uni in 1969. She'd been inactive musically prior to reprising Let It Be Me beside Butler on a PBS-TV doo-wop special shortly before her August 19, 2001 death in her adopted hometown of Beloit, Wisconsin. Cher revived Shoop Shoop for the soundtrack of her 1990 film 'Mermaids,' but it didn't hold a candle to Betty's original. 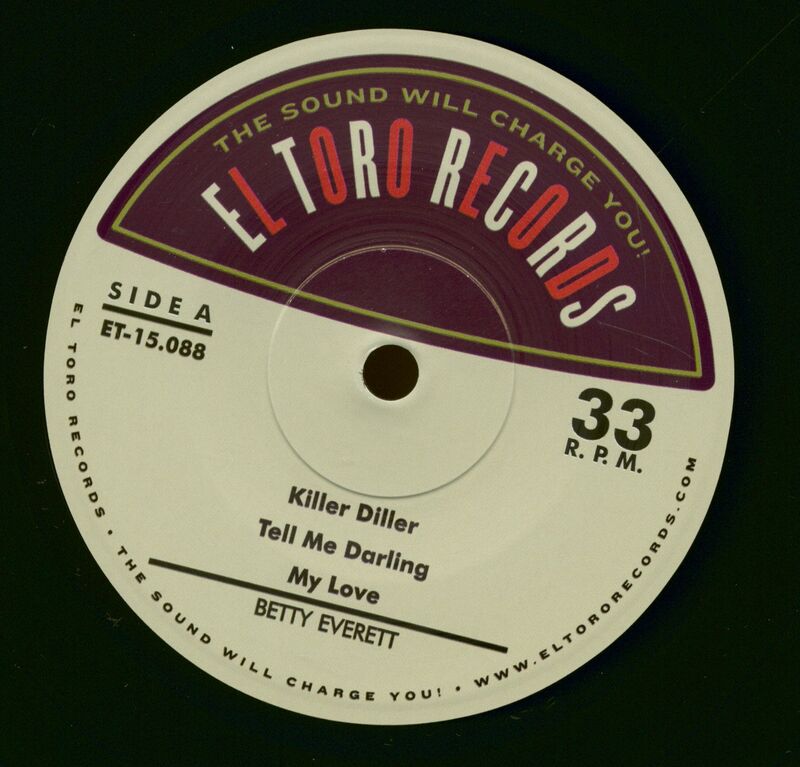 Customer evaluation for "Killer Diller (7inch, EP, 33rpm. PS, SC)"